Very Good. 089408025624 Excellent customer service / FAST SHIPPING / We ship daily before 3: 00 PM eastern time. Wolfgang Amadeus Mozart. Very Good. In very good packaging. 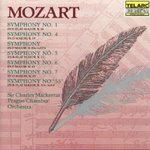 Prague Chamber Orchestra & Sir Charles Mackerras-Mozart: Symphoies Nos. 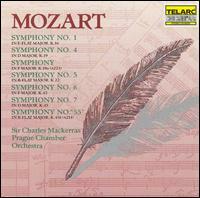 1, 4, 5, 6, 7 & 55/Symphon by Prague Chamber Orchestra & Sir Charles Mackerras.